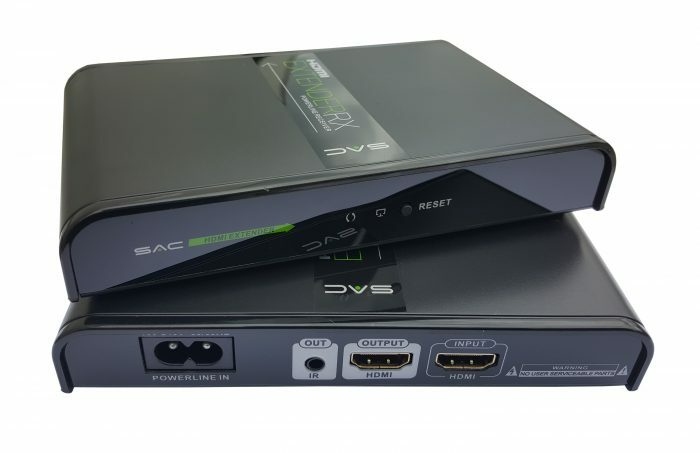 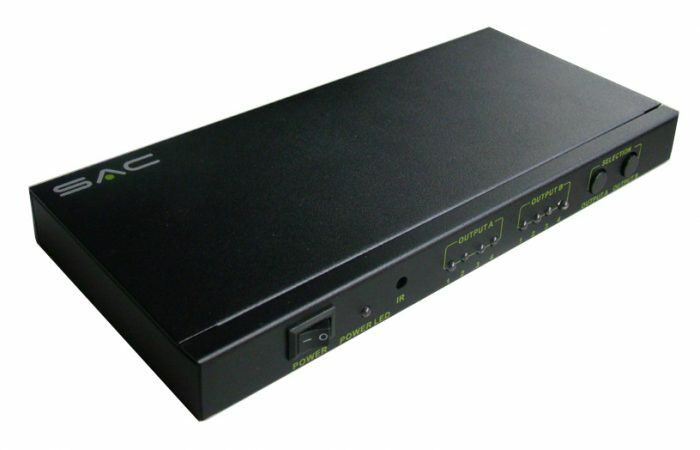 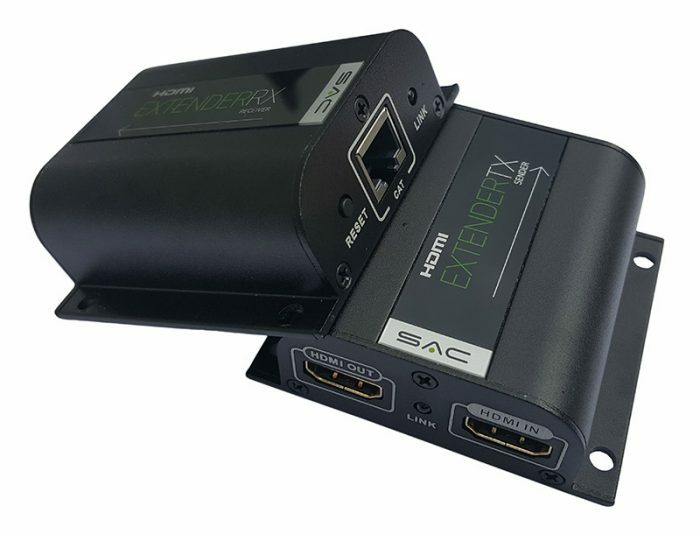 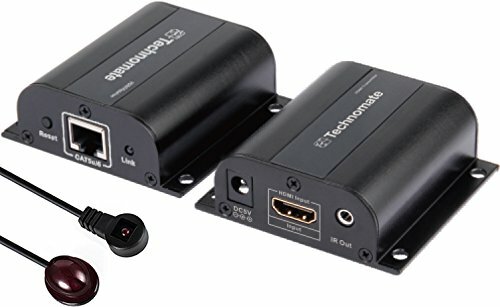 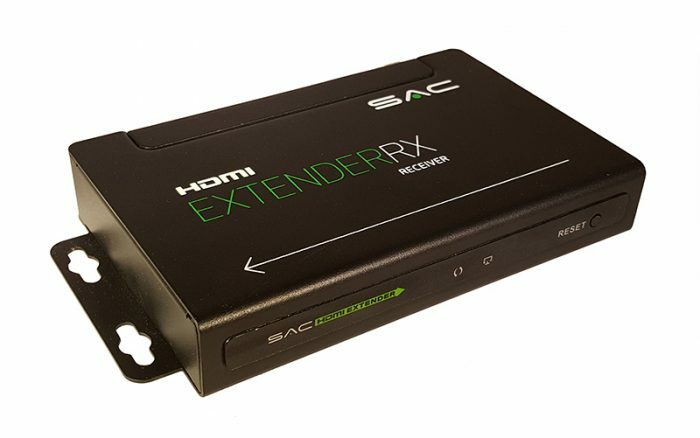 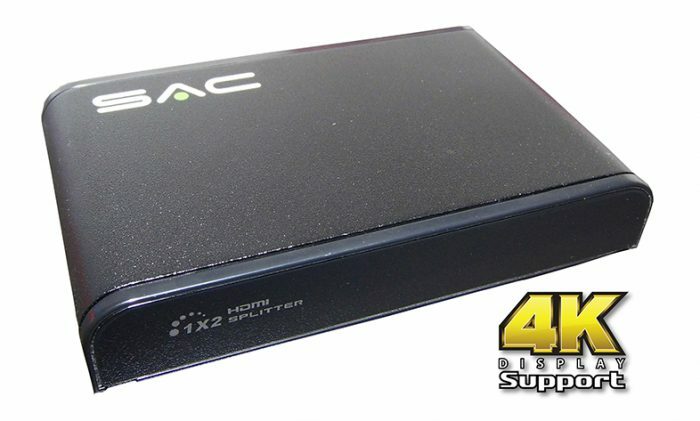 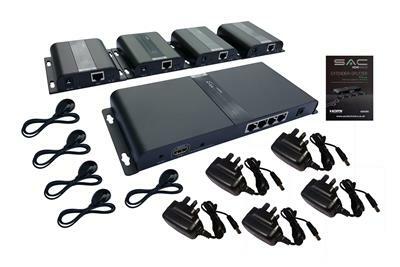 SAC 4-Way HDMI Extender & Splitter Over CAT5e/6 with IR – Complete kit with extender & 4 x receivers with IR. 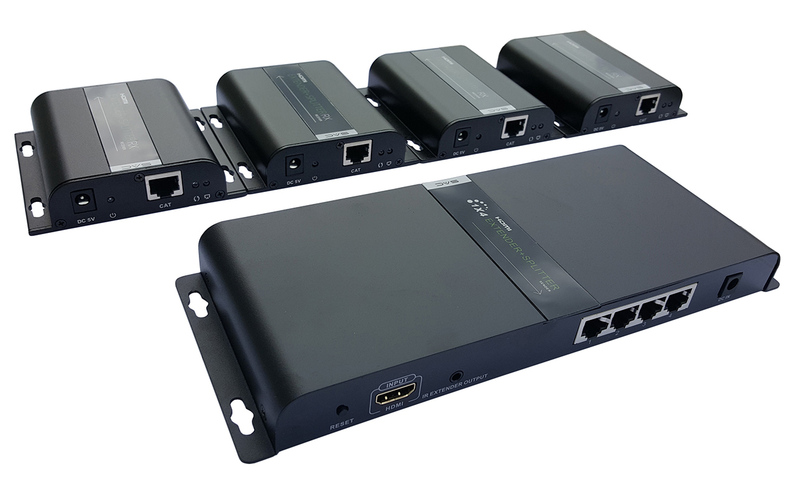 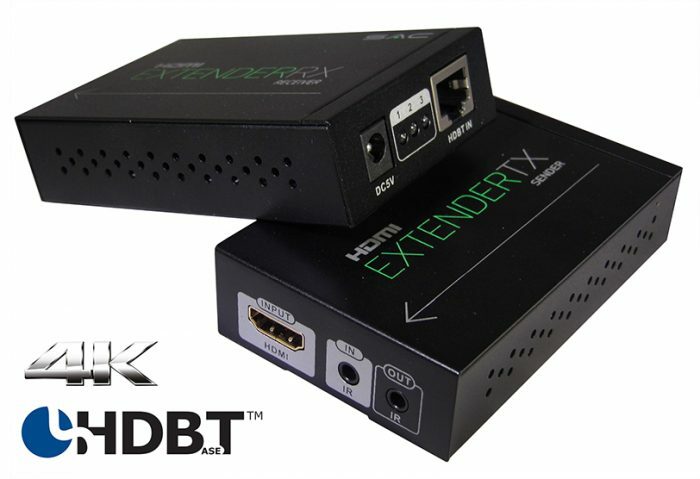 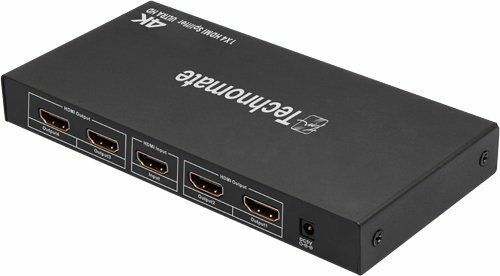 This device can split & extend one 1080p 60Hz HDMI signal to four TV’s simultaneously over UTP/STP cat5e/6 up to 120m on each output. 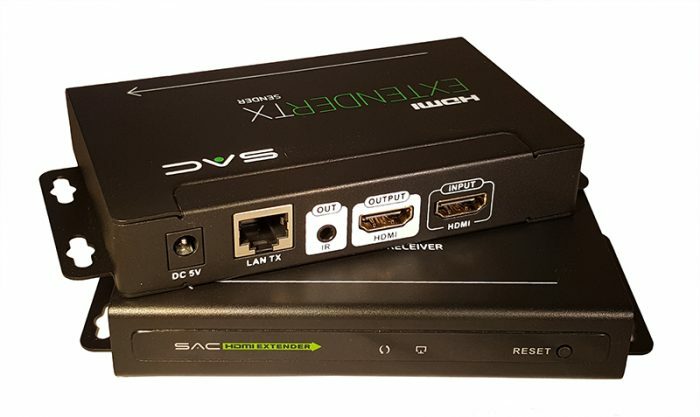 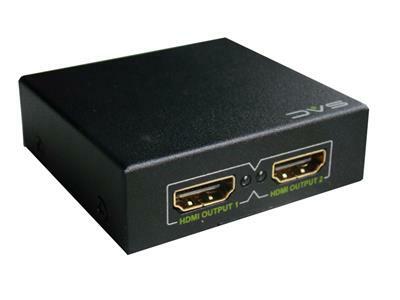 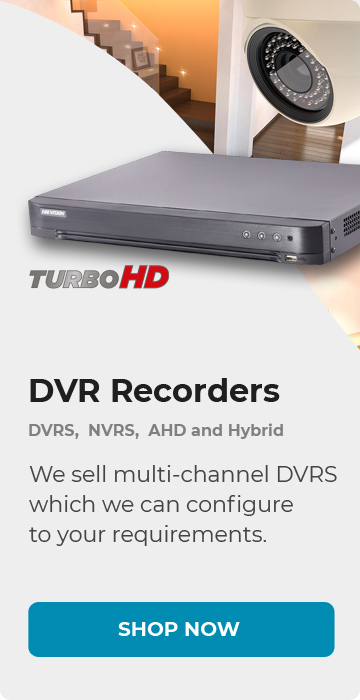 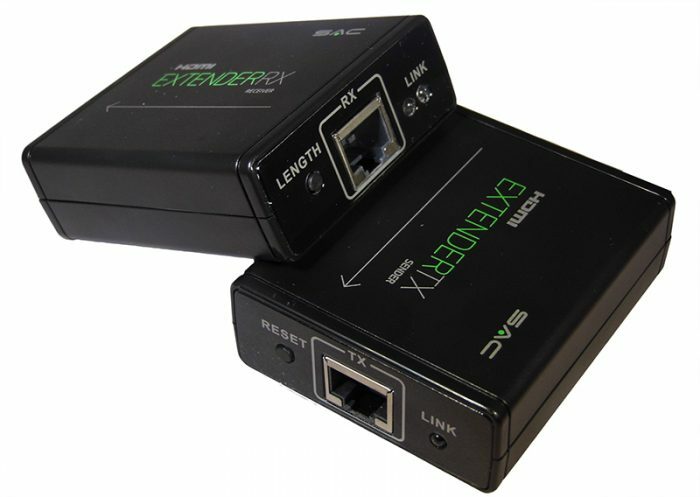 It is possible to control the HDMI source from any receiver using IR control (included with each receiver). 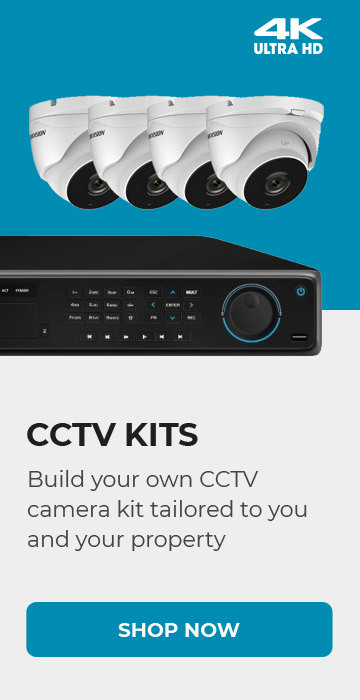 Complete kit with extender & 4 x receivers with IR.